New Delhi: A number of research / studies on medicinal values of plants are being carried out by various government as well as private universities / research institutions/ organizations in India. 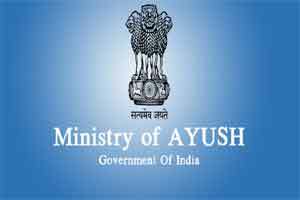 Under the Ministry of AYUSH, different Research Councils viz. Central Council for Research in Ayurvedic Sciences (CCRAS), Central Council for Research in Unani Medicine (CCRUM), Central Council for Research in Homoeopathy (CCRH) and Central Council for Research in Siddha (CCRS) are engaged in research & development activities on medicinal plants used in concerned system of medicine. In addition, the National Medicinal Plants Board (NMPB), Ministry of AYUSH, under its Central Sector Scheme on Conservation, Development and Sustainable Management of Medicinal Plants” is also supporting research & development projects on various aspects on medicinal plants to number of government as well as private universities / research institutions/ organizations across the country. At present more than 140 research projects, supported under NMPBs Central Sector Scheme on various aspects of medicinal plants, are ongoing in various universities/ research organizations in different states of the country.